These pumps are designed exclusively for residential pools. 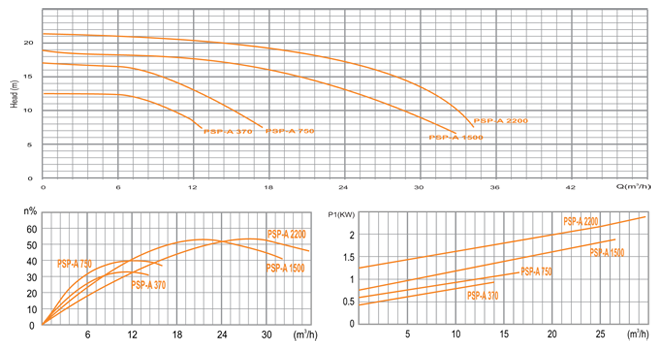 The salient features of these pumps are silent operation and reliability at low temperatures. 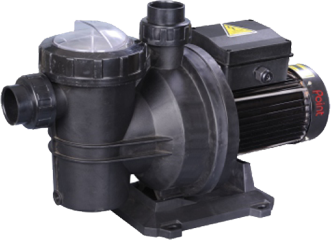 These pumps are available in the range of 0.5 HP and 3 HP and are fitted with single phase motors. These pumps have a simple assembly with high quality mechanical seals and bearings. They come with an easy - to - open strainer and the connections are done with standardized fittings & wet portion of the pump made of plastic. Prefilter, Pump Body, Pump Base in Glass filled Polypropylene. Motor Shaft in Stainless Steel AISI 420 / 431. Mechanical Seal in SiC - SiC / Carbon - Ceramic.